Raja Ampat is often referred to as ‘the species factory’ due to its unbelievable number of fish and coral species. Some may assume this is due to the remoteness of the islands and lack of human intervention in the region, but in fact it’s much, much more than that. Let’s take a look at why Raja Ampat is one of the most biodiverse places on Earth. Raja Ampat lies in the absolute middle of the coral triangle at the point where the Indian and Pacific Oceans meet. This meeting point is called the Indonesian Throughflow, pushing water from the Pacific Ocean through the straits that separate the landmasses of Indonesia. It also happens that the Pacific Ocean is 15cm higher than the average sea level and the Indian Ocean 15cm below. So how does the huge volume of water mix on this huge gradient? This is the cause of the strongest currents on Earth. In fact Norwegian scientist, Harald Sverdrup even made up his own term to explain the vast amount of liquid flowing here. He has said to imagine “a river that is 100 metres wide, 10 metres deep and flows at speeds of 4 knots, then imagine 500 of those rivers all combined together.” This is one Sverdrup…The Indonesian Throughflow is 22 Sverdrups!! This volume of water and the speed at which it moves carries millions of eggs and larvae that both thrive in the region and are food for others to thrive on. Of course factors other than the strength of the current come into play as well. The Coral Triangle has many deepwater basins that have protected the region from glacial water during Earth’s ice ages. The basins allowed species to thrive without being harmed by cold water. While other regions of the world lost species en masse to glacial water, Raja Ampat’s trenches stayed at a pretty steady temperature. On the flipside, the trenches have also protected the Coral Triangle from the dangerous rise in temperatures that many other regions have faced. Raja Ampat in particular has been saved from the rising water temperatures and coral bleaching devastating reefs around the world. 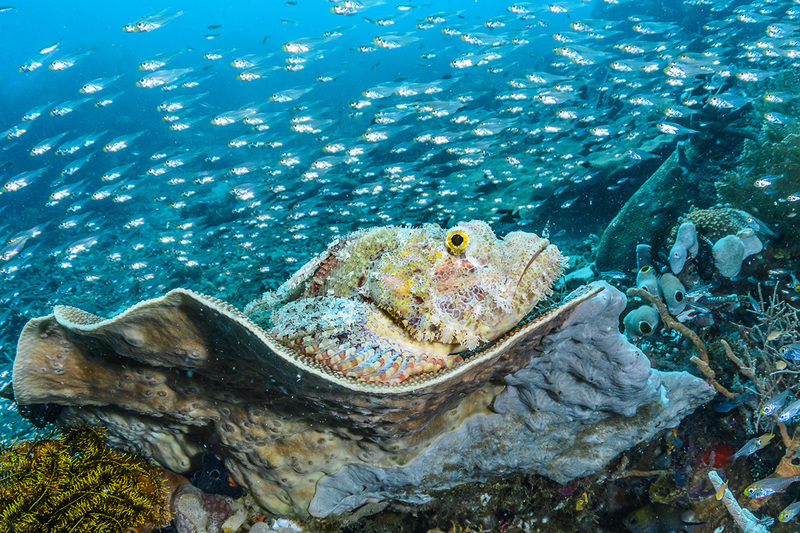 Raja Ampat draws divers and scientist from around the world to see the incredible marine life. 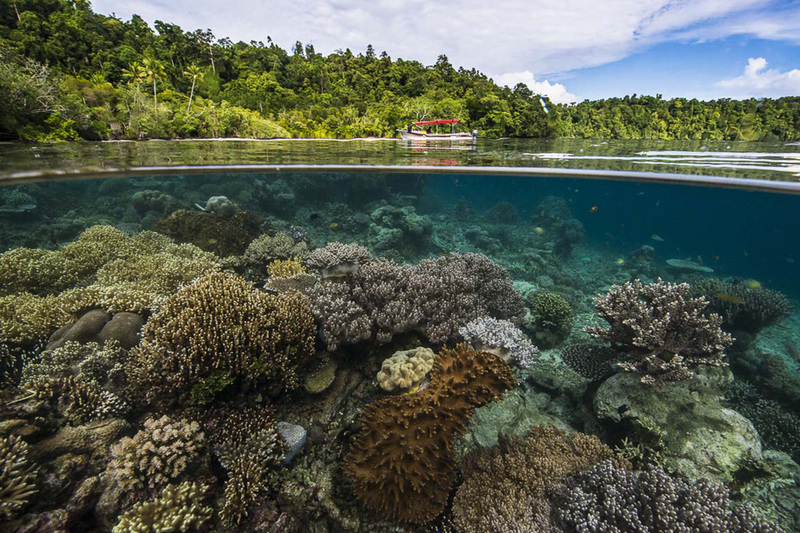 We usually assume that tourism always has a negative affect on ecosystems but in Raja Ampat this definitely isn’t the case. Seeing the positive impact on the economy, the Indonesian government realized that the conservation of the region was incredibly important. 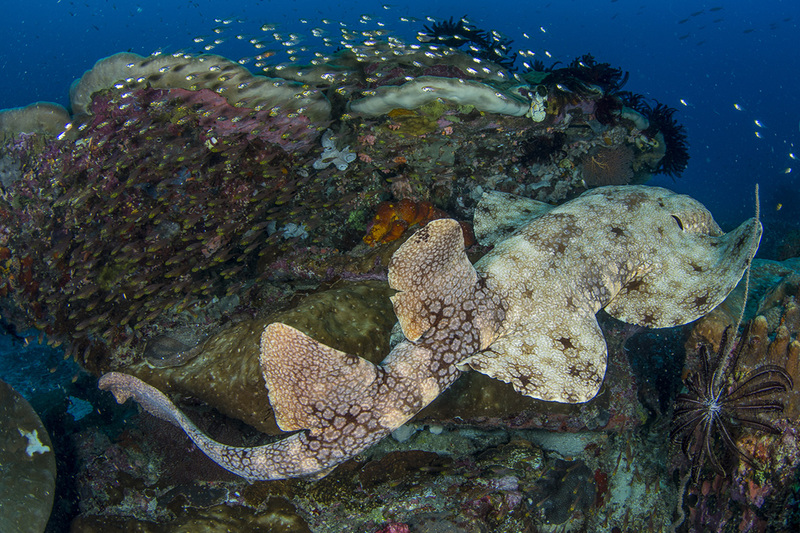 In 2013 Indonesia’s first shark and ray sanctuary was created encompassing Raja Ampat’s 46,000 square kilometres. They also designated a large network of Marine Protected Areas that are patrolled for those fishing with damaging methods, illegally disposing of rubbish or harming the marine life in any other way. There are many conservation programs running in the region, and in this case the government is very supportive of their efforts. Keeping Raja Ampat’s biodiversity thriving is way more profitable for the people than fishing, shark finning, or other now illegal activities. 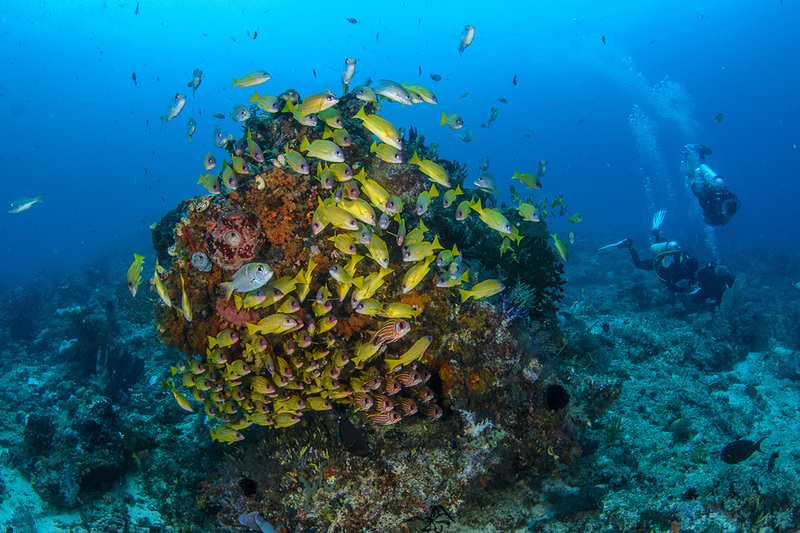 To really understand the scale of biodiversity in Raja Ampat you must see it for yourself. Whether you’re looking down on the house reef at Papua Paradise Eco Resort where dugongs are often spotted, or diving in some of the 200+ dive sites in the region, you will quickly realize how important this part of the world is when it comes to marine life. Is there anything you’d like to know about what species you might see in Raja Ampat? Leave us a message in the comments box below.